Solving the extraordinary number of challenges that can arise from any sort of disaster situation, be it a ceiling leak, massive flood, sewage backup, mold growth, or any form of major catastrophe, our teams with 911 Restoration Rochester can be there for you to take it on. Our water damage Rochester specialists are well aware of how quickly damage can happen when water is involved, and that is why we make sure to be at the site immediately to begin our work. When it comes to solving these challenges, our teams make sure to be on the site of the situation within 45 minutes to begin working. In concert with our quick arrival time, we are also available 24/7/365 to take on projects at all times of day or night too. Don’t let your home or office location be taken asunder with the force of flood waters without help from the best. 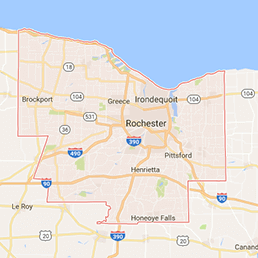 Contact our water damage Rochester team with 911 Restoration Rochester for help today! Our Rochester teams have the skills to handle any challenge that your home or business front may present them with, but they are total experts when it comes to water damage repair work. 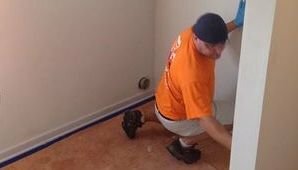 We get called out to flooding and leak situations so frequently that we have even developed a number of ways that people can help to protect themselves from damages through simple maintenance. Make sure to trim the trees around your property at least once a year. This will help to keep branches from falling off and crashing into your home during high winds or rain. 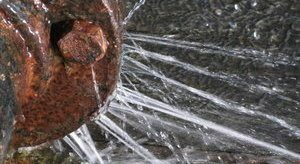 Inspect your pipes now and again to spot any rusting or corrosion that may be the site of a future pipe burst section that needs to be replaced. Take the time to replace the hoses and fittings on the appliances in your home that are connected to the main water line. These pieces can fail over time, and replacing them is easy. Never place anything into the plumbing system that it was not specifically designed to handle when flushing. This means multi-ply, or even biodegradable products too. Let a restoration expert or plumbing professional inspect your home for any small obstructions that may grow over time to become serious water damage issues if left unchecked. There are a plethora of ways to keep your home safe from the harm of a flooding scenario, and this is not a complete list, so if you have questions, then be sure to contact our team for help. Don’t let your prosperous office location or beautiful residence fall to the effects of a ceiling leak, water heater loss or any other means of flooding without help from the experts. Contact our water damage restoration Rochester team with 911 Restoration Rochester for help today! There are few situations that happen to homeowners that are more disgusting than the ravaging nature of a sewage backup scenario, and that is why our teams are standing by around the clock to be of service in an emergency. A sewage backup scenario can be truly scary, but it can also be hazardous to your health, and this is why we suggest that if you have a toilet overflow, or any kind of sewage rising in your home or office, that you have it taken care of by experts like ours. Don’t run the risk of sewage contaminating your home or office, and then yourself without seeking expert help first. If you have a black water crisis in your home, then contact our sewage backup cleanup Rochester team with 911 Restoration Rochester today! More than half of the homes in America have a mold growth problem that they don’t even know about, and this may be the source of health ailments ranging from congestion to respiratory issues. Mold can grow extremely easily in a post-water damage scenario and to combat this requires immediacy in eliminating not only the water that can allow it to grow, but also the damaged materials too. When drywall and other porous surfaces take on water, they can not only become saturated to the point of structural instability, but also the saturation creates a perfect breeding ground for mold spores. Once mold spores take hold, they can spread easily through the air, and when they land in other areas of the home or office, they can begin new growths that then spread the problem around. Don’t let a recent water incident ruin your home with mold growth, contact our mold removal Rochester team with 911 Restoration Rochester for help in eliminating the challenge today! Fire and smoke damage can be one of the most tragic situations that people are forced to deal with in either their home or their business location. When a fire occurs, not only does it spread damage through the flames, but also through the smoke that travels throughout the property, and the resultant water damage when the fire department puts out the flames. Lingering water from a fire incident can be a huge source of mold growth too, so essentially whenever you have a fire, you may also have a host of other disaster related concerns that you may not have even considered. If your property has recently been through a fire or smoke damage situation, then you will need the skills and expertise of our fire and smoke damage restoration Rochester team to take care of it professionally for you today! When it comes to Disasters, the New York area is no newcomer to the game. With the intensity of hurricanes and flooding as one of the most common sources of claims made on insurance, there is no shortage of disasters that can befall the good people of this area. When it comes to alleviating the effects of a disaster, there is no one more capable and ready for the task than our disaster restoration Rochester team for the job. Our crews are all IICRC certified and ready to take on any project no matter how big or small the damages may be. Taking charge in these situations is critical for a quick recovery, and this is one of the major reasons why our teams are ready around the clock for any type of catastrophe that may befall the area. We know how trying these times can be and that is why we will even help to till out and file all of the insurance paperwork and correspondence that needs to be done so that you can get back to living your life as fast as possible. Don’t let any kind of disaster destroy your gorgeous home or functioning business without getting help from the best in the industry. Contact our disaster restoration Rochester team with 911 Restoration Rochester for immediate relief today!